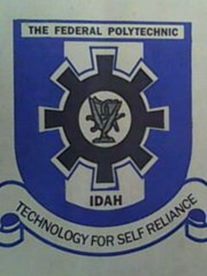 Federal Poly Idah HND admission list – The names of candidates offered provisional admission into the Higher National Diploma (HND) programmes of the Federal Polytechnic Idah (FPI), Kogi State, for the 2018/2019 academic session have been released. This is to inform all the candidates that applied for admission into the Federal Polytechnic, Idah, Higher National Diploma (HND) programmes for the 2018/2019 academic session that the management of the institution has released the list of successfully admitted candidates. Federal Polytechnic, Idah HND admission list has been successfully uploaded online. SEE ALSO: Federal Poly Idah ND Admission List 2018/2019. Check Federal Polytechnic Idah HND Admission List. Go to Idah Poly HND Admission status checking portal at http://www.myportal.fepoda.edu.ng/admissions/checkAdmissionHND.php. Check your admission status through the search boxes using your Form Number/Surname. Registration for 2018/2019 Academic Session has begun. Newly admitted candidates for 2018/2019 Academic Session are to pay acceptance fee and accept offer of admission. RECOMMENDED: Federal Poly Idah Acceptance Fee & Registration Process 2018/2019 and Federal Poly Idah School Fees Schedule – 2018/19 . Congratulations to all the candidates that made it to the Federal Poly Idah HND admission list.